This day in 1968 marks a very important moment in the history of personal computing – it is the day that semiconductor giant Intel was founded. Intel was founded by Gordon Moore and Robert Noyce. They initially wanted to name the company “Moore Noyce”, but that sounded too much like “more noise”, so they settled on their initials for the name NM Electronics. 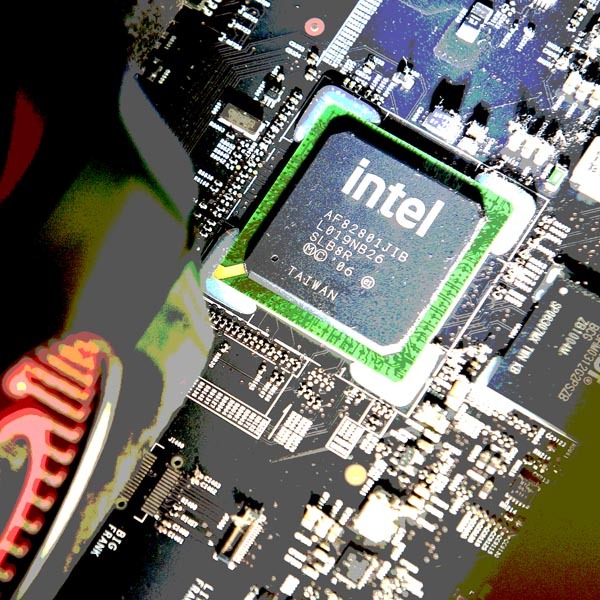 The name Intel, derived from Integrated Electronics, was adopted later the same year. Intel produced their first product, a RAM chip, in 1969, and memory chips represented the majority of its business for the first decade. In the meantime they also produced microprocessors, for example releasing the 8080 microprocessor, which was deployed in a vast array of products, from cash registers and traffic lights to computers, in 1974. The success of IBM microcomputers in the early 80’s prompted Intel to increase its efforts to gain dominance in the microprocessor market. Their subsequent x86 series of microprocessors, followed by the Pentium series, became staples in most personal computers from the 1990’s onwards. Initially a company famous only among engineers and computer scientists, the ‘Intel Inside’ marketing campaign turned Intel into a household name. The “Intel Inside” campaign remains one of the most famous and successful advertising and marketing campaigns in IT history. The 1990’s represented an era of unprecedented growth for the company as primary hardware supplier for the personal computer industry. After 2000, changes in market dynamics and increased competition slowed the company’s growth, but Intel has been able to sufficiently adapt to remain relevant in the fast-changing IT sector. In June 2005, Apple CEO Steve Jobs announced Apple’s transition from its PowerPC architecture to Intel-based architecture, and by mid 2006 the entire Apple Mac consumer line was sporting Intel processors. Intel currently remains, by revenue, the world’s largest semiconductor chip maker. If you’re reading this on a desktop computer or laptop, you are in all likelihood doing so on an “Intel Inside” system.